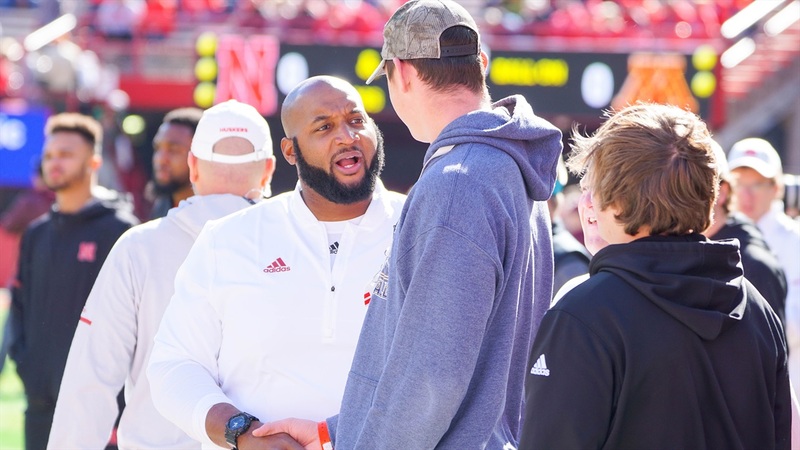 Nebraska Recruiting: Which Assistant Is the Best Recruiter? In this week’s mailbag we received a question that I had to pull out of the mailbag and use for today’s notebook because it stuck with me after seeing it. What makes this question so difficult to answer is that multiple coaches on staff have a strong case for being named the best recruiter this cycle. It would be difficult to not tip your cap to Barrett Ruud. He leads in-state recruiting, so going five-of-five with the Nebraska offered players deserves a pat on the back. Not to mention the signing of Jackson Hannah out of Nashville, which may be one of the more underrated signings of the cycle. How can you say that Greg Austin isn’t deserving of also being called the best recruiter this cycle? He landed his No. 1 target in Bryce Benhart and put together a very good offensive line class that includes Michael Lynn, Matthew Anderson, Jimmy Fritzsche and currently Desmond Bland. Then there is Travis Fisher. Social media is always buzzing about not seeing Fisher in pictures but it doesn’t matter if he is bringing in talent. Noa Pola-Gates, Javin Wright, Quinton Newsome and Myles Farmer give him an athletic and versatile group to work with in coming seasons. We also can’t forget about Ryan Held. He’s relentless on the trail and it shows in his results. Running backs Rahmir Johnson, Ronald Thompkins and Dedrick Mills are a very talented trio heading to Lincoln. Held also gets a lot of credit for the Huskers sticking with and ultimately landing offensive weapon Wandale Robinson. For the sake of this discussion it’s worth noting that both offensive coordinator Troy Walters and defensive coordinator Erik Chinander are very involved in recruiting their sides of the ball too. So, for now, I’m going to not actually declare a winner after presenting the case for multiple coaches to be the best recruiter this year. There is time left in the class for impact players to commit to Nebraska though, so it’s still anyone’s game. >> Austin was in Illinois today and stopped by my alma mater, Bolingbrook High School, in search of prospects. >> While in the area, Nebraska offered 2020 Plainfield North speedster Marcellus Moore. >> Remember that story Scott Frost told about Ty Robinson having a dog that fetches water from the fridge? Robinson posted the video proof which is amazing. >> The Hail Varsity staff tackled another wide range of topics in this week’s mailbag including plenty of Nebrasketball talk. >> Here are three things to know as Nebraska basketball gets ready for Northwestern from Derek Peterson.